Parcel delivery UAVs are a simple idea that requires a complex technology and great deal of vision. Matternet, Amazon.com and DHL (with their Paketkopter) are actively developing their drone delivery designs, and despite restrictive regulations, it is reasonable to expect that it will become reality sooner rather than later. All the systems mentioned above have one thing in common: they are being developed to deliver package from a fixed location, the warehouse. Yet the fact is that there are not a lot of warehouses in any given metropolitan area, and those that exist are almost exclusively located on the outskirts of the city. Despite the developing endurance and range of multirotors, it is easy to see that even with the optimally positioned warehouses around the urban area, large parts of the city will remain outside of delivery drones operational range. 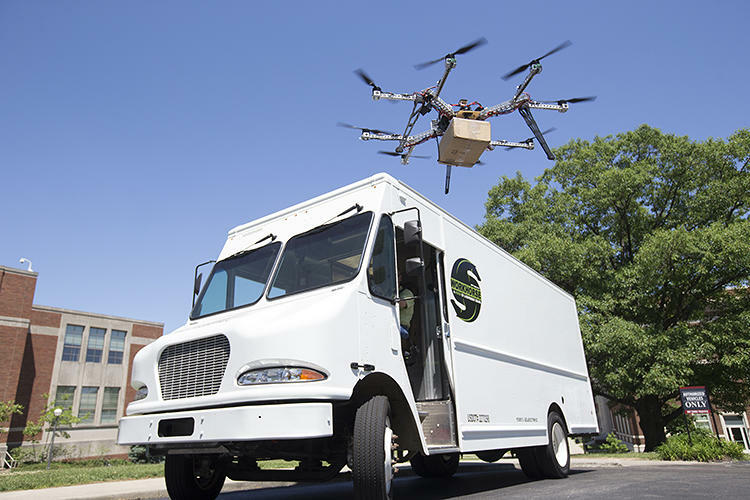 This is the problem that has driven AMP Holding to work together with the University of Cincinnati to develop a UAV that will be coupled with a delivery truck. The HorseFly will be positioned atop a delivery truck, awaiting a package from the driver. When loaded, the HorseFly will scan the barcode on the package, determine the path to the delivery address via GPS and fly away – completely self-guided – to the appropriate destination. Meanwhile, the delivery truck will continue on its rounds. After successful delivery, the HorseFly will zoom back to the truck for its next delivery run and, if needed, a roughly two-minute wireless recharge. This system will require a more complex route optimization solution, one for the delivery truck and one for the UAV, and it is not clear yet how will that part of the delivery process be sorted out. 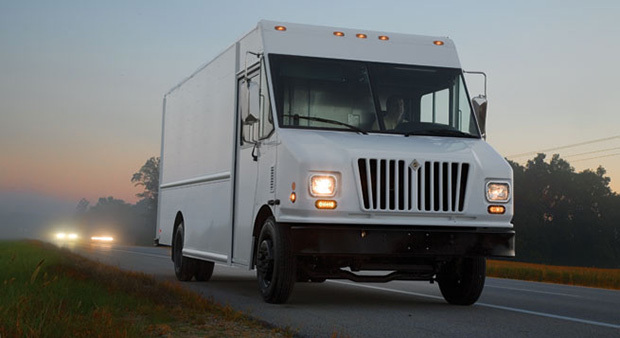 But with the delivery vehicles conveniently scattered all over the urban area, no neighborhood will be out of range or reach. An essential part of this system is its safety. Steve Burns, AMP CEO says that “An important part of the HorseFly project is that we make a vehicle that will not drop out of the sky”. In addition to the sophisticated autonomous controller system, the HorseFly will have multiple built-in hardware redundancies (rotors, onboard computers, battery packs). So if, for example, multiple rotors were to fail, the HorseFly and its payload still could be retrieved safely. It seems that two UAV delivery methodologies are emerging: one from a fixed warehouse location (Amazon.com and DHL), and the other from a mobile base. It will be interesting to see which one of them will prevail. Dronologista bets that the vehicle-UAV system is the winning combination, because it offers great flexibility and contains a potential for further development (think of automation). Interesting articles about the HorseFLy could be found at Gizmag, DroneLife and University of Cincinnati news page. Nice picture gallery can be found in Fast Company Magazine. Pictures courtesy of PluginCars.com and Fast Company Magazine. Is drone delivery really a robot startup?